Where there’s a swell, there will be surfers. 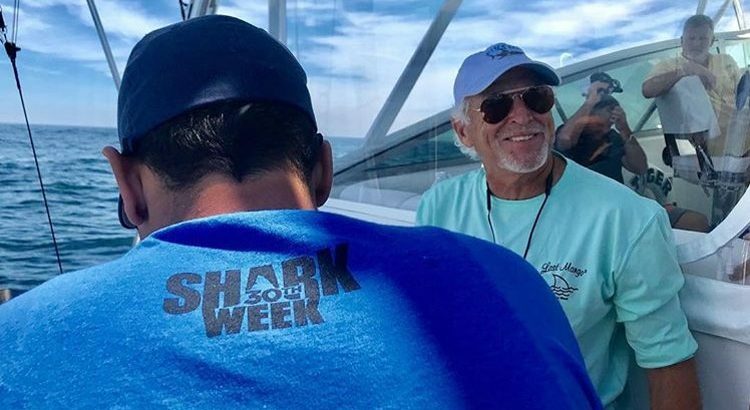 On Wednesday, among the usual suspects taking advantage of the hurricane swell off Folly Beach, was none other than the Mayor of Margarita himself, Jimmy Buffett. 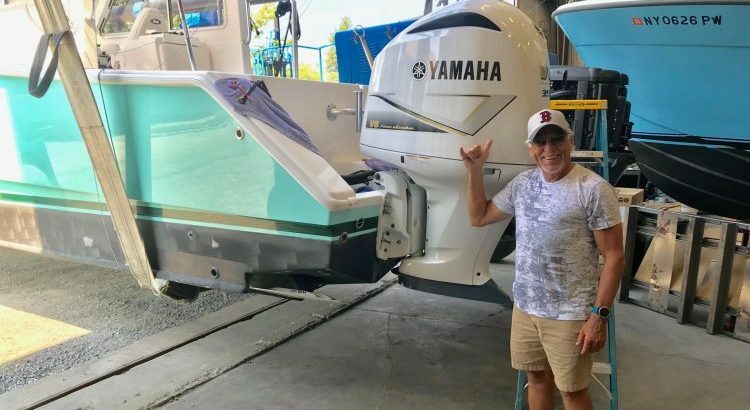 Jimmy Buffett got a special delivery from Yamaha Outboards (a 5.3-liter 350-horsepower V8). 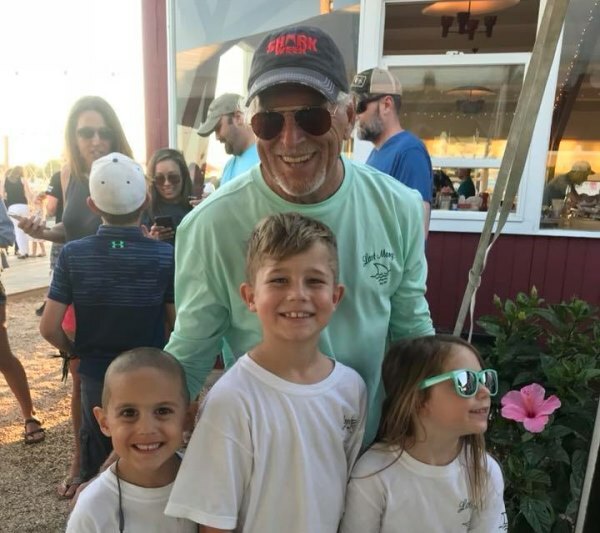 Photo of Buffett at Gone Fishing Marina in Montauk NY wearing a Red Sox cap. 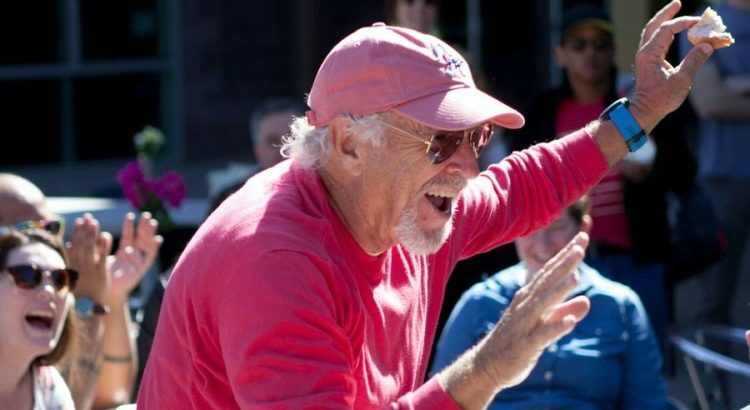 Jimmy Buffett performed at a surprise concert last night in St Barts. 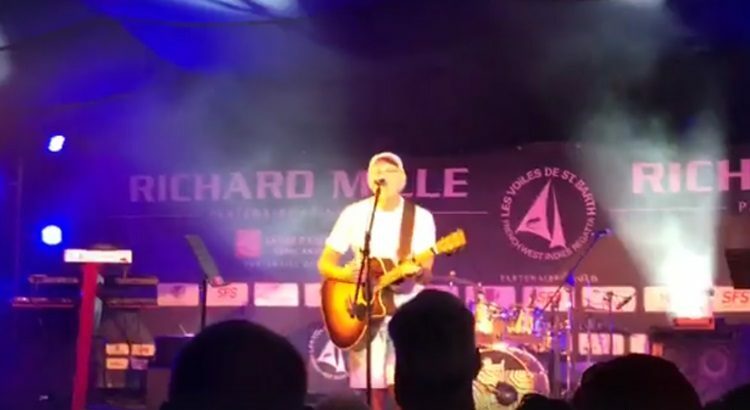 Buffett, this year’s US ambassador for Les Voiles de Saint-Barth, treated the regatta to live music dockside in the Race Village. Some of the songs played included “Chanson Pour Les Petits Enfants” and “Southern Cross”. He also snuck in a “secret” show at Solana Beach’s Belly Up Tavern that sold out quicker than you can say “Son of a son of a sailor”. And he took a moment out of his busy schedule of surfing and singing to snap this shot at the Torrey Pines golf course. Then it was on to Australia, to perform at an Easter weekend concert festival and chill with the likes of pro surfer and 11-time world champion Kelly Slater. Now, Buffett — who’s also an accomplished pilot — appears to be winging his way around New Zealand. 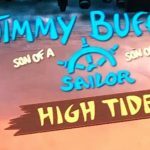 Famed American singer Jimmy Buffett hopes to share a margarita with the Sydney trauma doctor who “probably saved my life” when he returns to Australia to perform at Bluesfest on Friday April 14th. 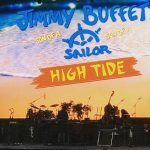 The Margaritaville star walked off the stage towards the end of his Hordern Pavilion concert on Australia Day in 2011 — at the tailend of his first Australian tour in more than two decades — and sustained a head injury. St Vincent’s Hospital head of emergency Professor Gordian Fulde was enjoying the concert from the front row and leapt over the barricades to treat the performer. 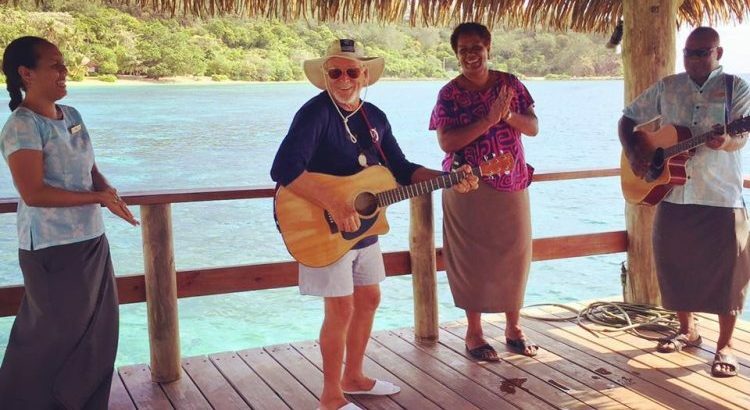 Buffett hopes the doctor will join the rest of his legion of Parrothead fans at his one-off concert at the Byron Bay festival on Friday. “Hopefully I am going to get him up to Byron. That fall off the stage is a memory burned into whatever part of my brain I fell on,” Buffett said ahead of his Australian visit. “I remember coming to with Gordian over me and telling me I had fallen but to stay with him and keep looking him in the eye. 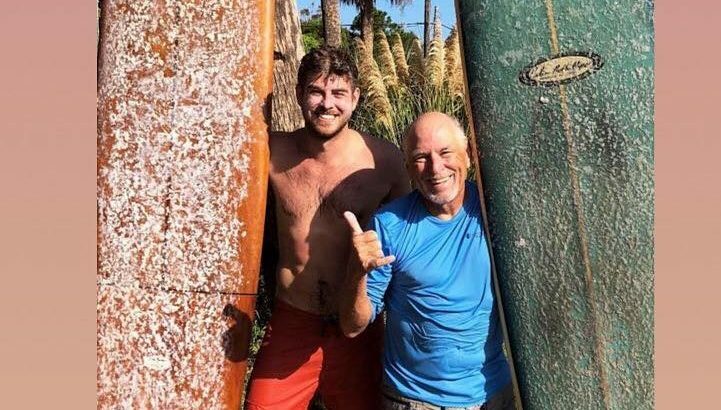 As the news of his fall went viral, Buffett said he startled the fellow patients and staff in the hospital’s intensive care when he guffawed at the first text he received from his close friend, world champion surfer Kelly Slater. 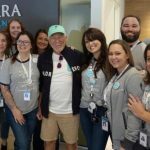 Buffett’s next spin-off from his successful “lifestyle” brand is a retirement village in Florida. 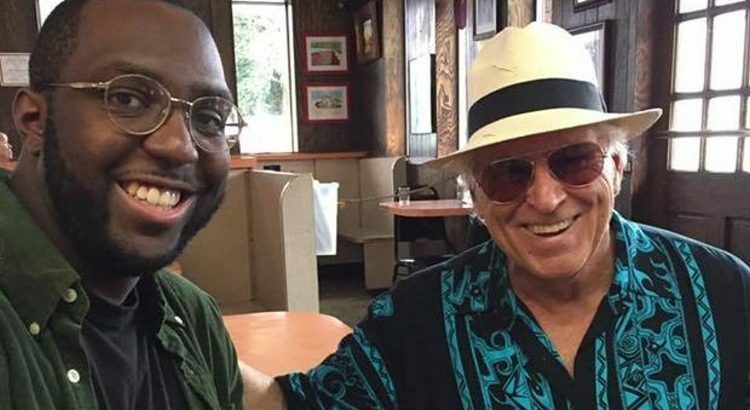 From AL.com: “Why was Jimmy Buffett in Mobile today?” Jimmy Buffett and reporter Jared Boyd talk about an upcoming documentary project chronicling the singer’s start on the Gulf Coast during a chance encounter at Dew Drop Inn on Thursday, January 12, 2017. On the 1982 song, “I Heard I Was in Town,” Jimmy Buffett sings about walking the streets of his former stomping grounds. On a recent trip to Mobile, the renowned singer-songwriter was caught bringing the words of his song to life, stopping into the Dew Drop Inn in Mobile on Thursday afternoon for an impromptu chat with fans. The late lunch encounter began with a table of women pointing out of the window. 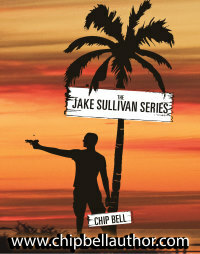 Sure enough, I caught a glimpse of the tropical-shirted figure stepping into a white late-model Nissan van in an adjacent lot on Old Shell Road. 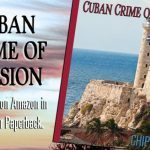 Quickly, the woman sprang up from the table and sprinted out of the restaurant’s back door. Through the window, I could see her waving to flag Buffett down. So, why was Jimmy Buffett walking “old streets again,” as he sings in his aforementioned song? According to the man, himself, he’s saluting his Mobile roots in a documentary film about his early career. While in town, Buffett says he is gathering shots and meeting with local musicians who were integral to the making of his first records. 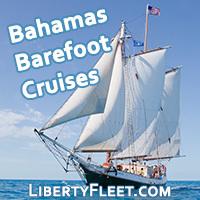 Sarah Delaney Buffett, a filmmaker and Jimmy Buffett’s daughter, is among the list of names Buffett says is involved with the project. “So, now you’ve got the scoop,” he said, after a short spiel.